The compact and lightweight SB-R200 remote Speedlight unit is perfect for close-up and general photography. It supports the Nikon Creative Lighting System (CLS) and compatible CLS cameras. The SB-R200’s easy-to-set analog controls offer quick setting changes for the photographer on the move. Close-up, portrait and micro photographers will love the SB-200’s ability to project the correct amount of light on their subjects without leaving images looking washed-out or overexposed. Thanks to Nikon’s i-TTL flash control along with its built-in target light and AF Illuminator, the SB-R200 allows for proper positioning of the Speedlight in relation to the subject, as well as autofocus operation in low-light situations, to always ensure brilliantly lit images. The SB-R200 makes an excellent light source as part of a complete lighting system. 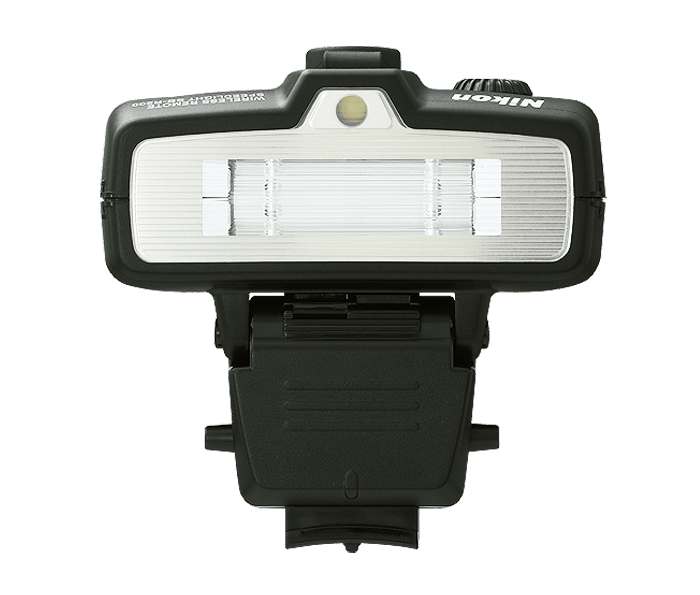 It can be set to one of three Speedlight groups and integrates perfectly into multiple flash situations including the SB-910, SB-900, SB-800, SB-700, SB-600, and/or SB-500 Speedlight units. The SB-R200 also offers four independent channels for shooting in competitive environments.